152a Blast™ is an economical general-purpose duster with a bigger blast for cleaning applications. Its exceptional purity jet instantly cleans surfaces free of particulate contamination. 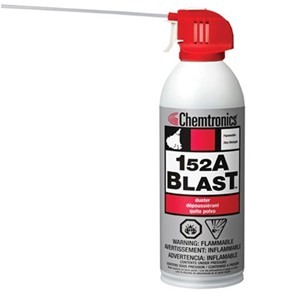 152a Blast™ is engineered to remove dirt, dust, oxide particles and other airborne particles instantly, and can be used to facilitate the accelerated drying of solvent cleaners. Not for use near flames, ignition sources, nor sources of static discharge.